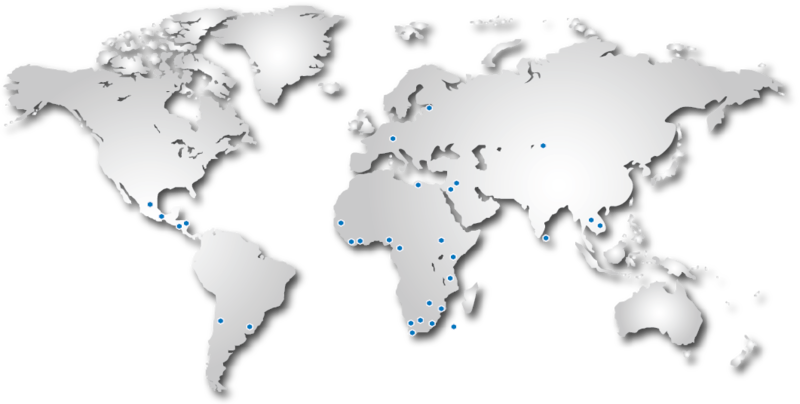 Although situated in the beautiful town of Stellenbosch, Western Cape, South Africa, we have provided onsite implementation and training assistance throughout South Africa. Our electronic tuberculosis register, ETR.Net, is implemented across South(ern) Africa, at times from facility level upwards, and our web based electronic drug resistant register, EDRWeb, is also deployed throughout South Africa. Our facility based HIV patient management system, TIER.Net, is similarly deployed throughout South(ern) Africa. Concerning water infrastructure and water quality management systems, our Municipal Assistant™ System has been deployed over 54 times throughout South(ern) Africa and is probably the one system with the widest municipal reach within South Africa. Given that our systems have been developed with local conditions in mind and have also been implemented throughout the southern African region, we have accumulated certain unique skills and capabilities, which provide us with a notable advantage in the sectors we operate in.